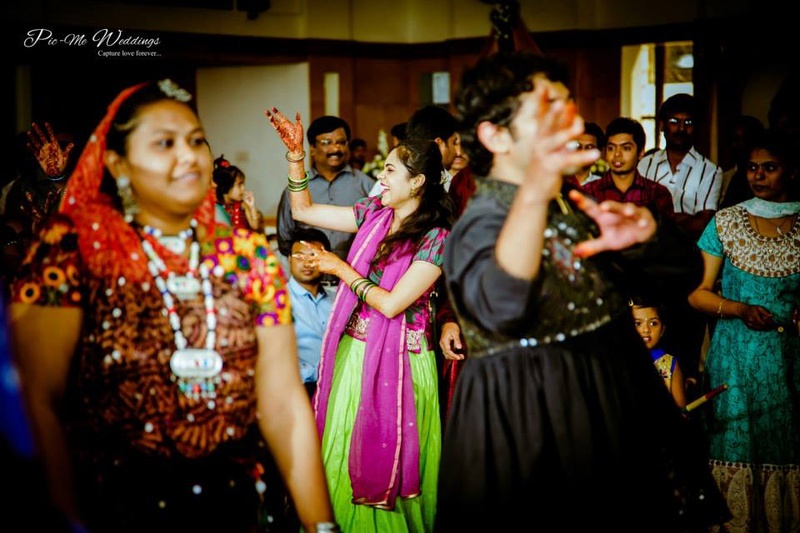 Full of unique rituals, Tam-Brahm weddings are rich in culture and tradition. 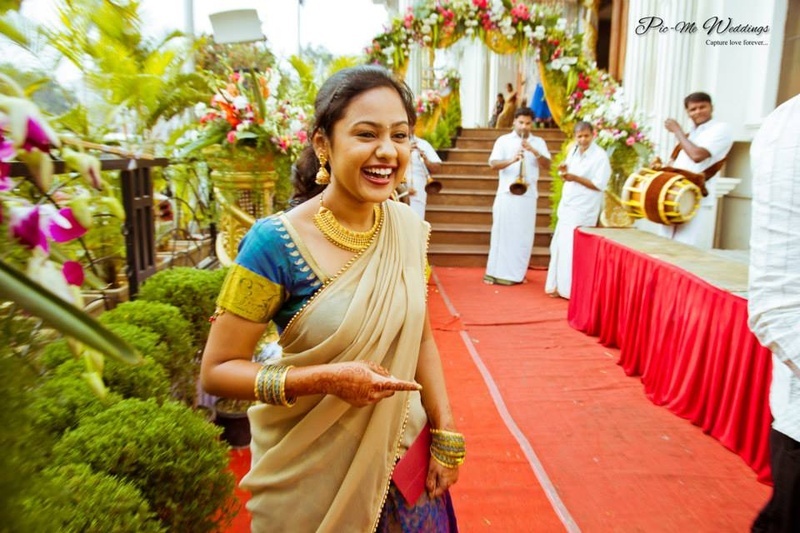 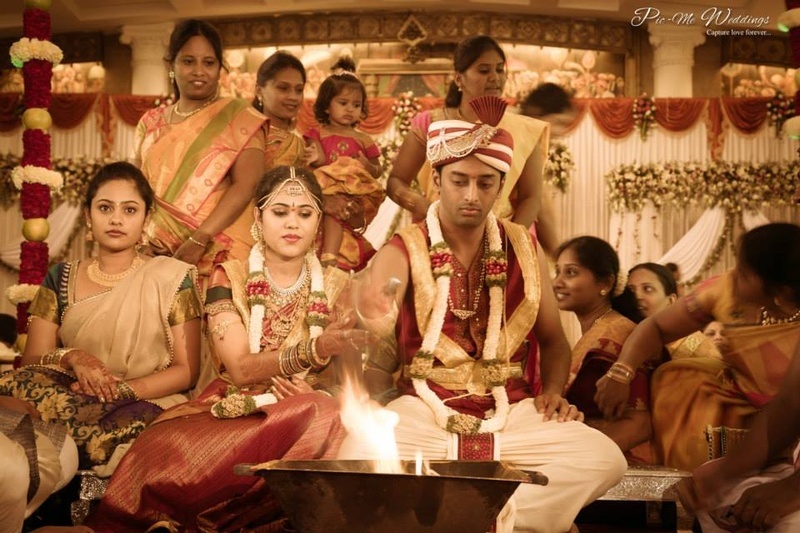 The bride and Groom made sure everything – from the jewellery to the décor and to wedding ritual that was being practiced, would show the essence of this culture, and what a way it did! 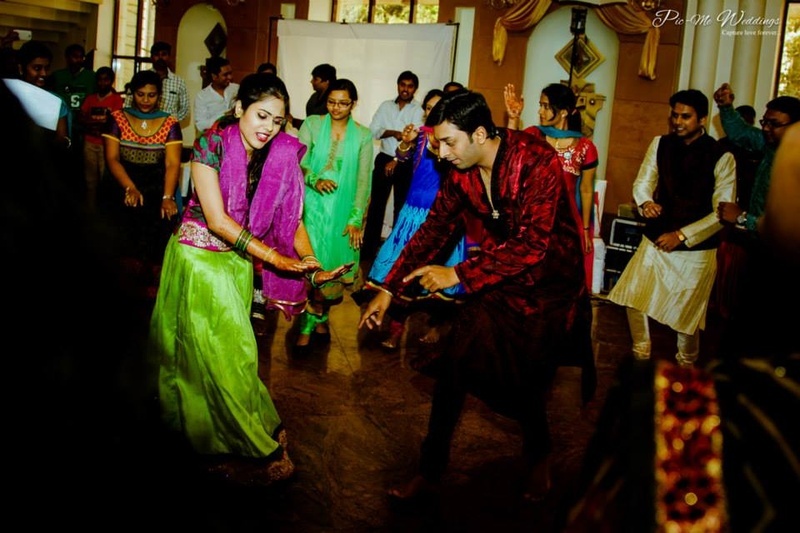 The celebrations started with a dance-filled pre-wedding ceremony, followed by the beautiful wedding ceremony. 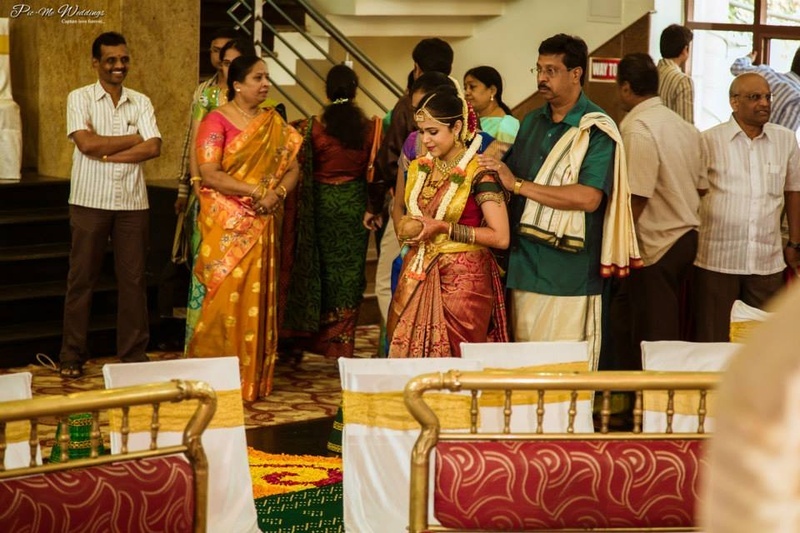 Chinmayi, the beautiful bride wore a pastel pink Kanjivaram saree and accessorized her look with traditional temple jewellery. 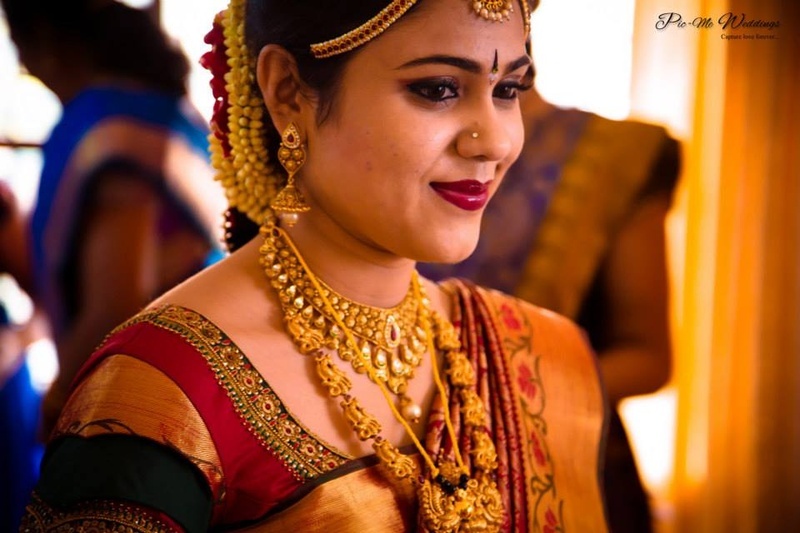 The temple jewellery she wore was made from the purest form of gold, studded with the most precious stones, and was engraved with imprints of gods and godesses. 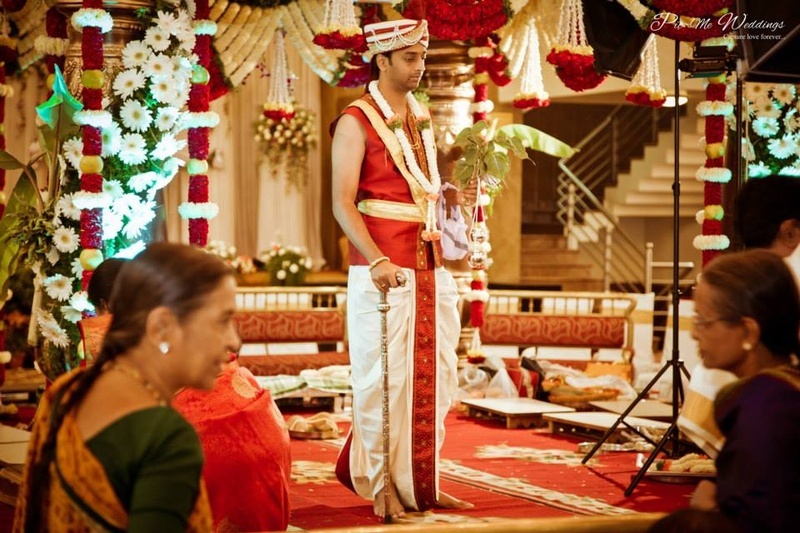 Kalyan, stood at the florally decorated Vedi Mandap, waiting for his bride, dressed in traditional red and white dhoti-kurta holding a silver embossed walking stick and mango leaves. 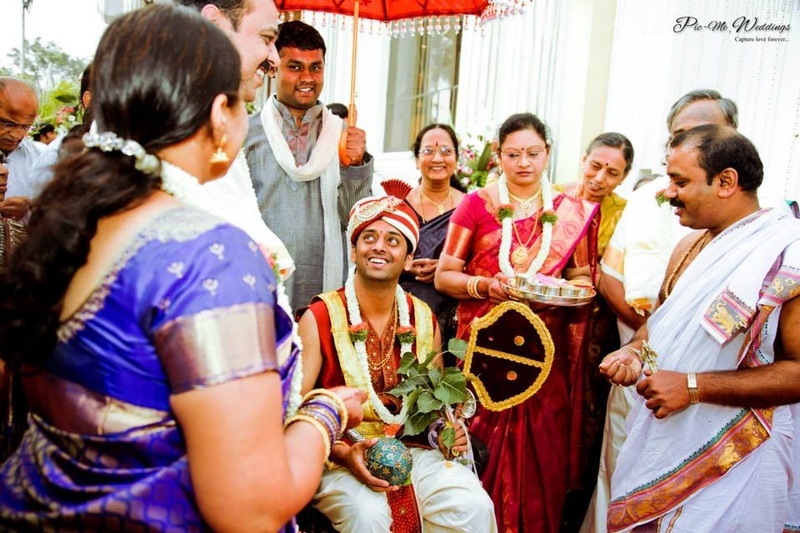 Once varmala’s were exchanged and things were made official, this beautiful couple was showered with rice grains symbolizing showers of blessing for a long, happy married life ahead. 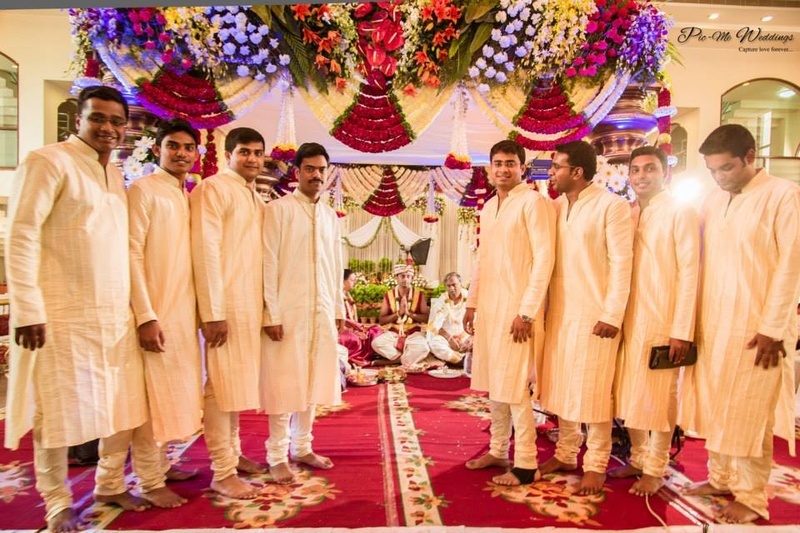 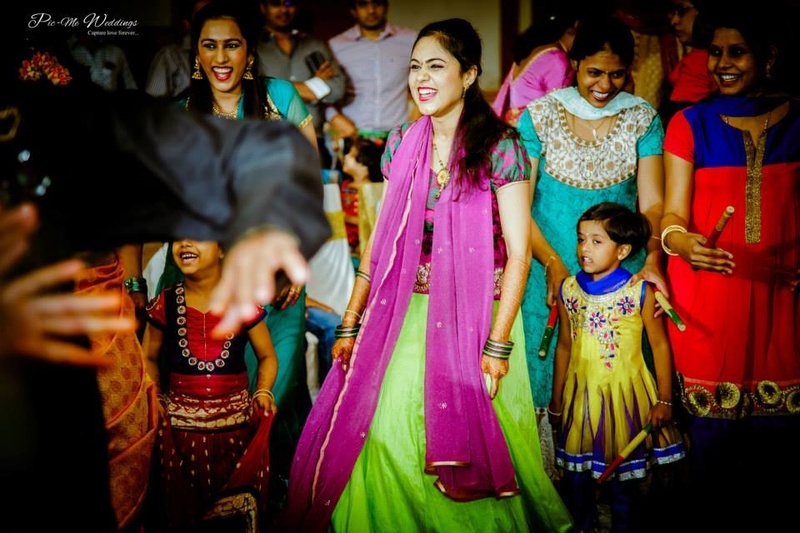 Pic-Me Weddings captured every beautiful moment from this traditional Tam-Brahm union. 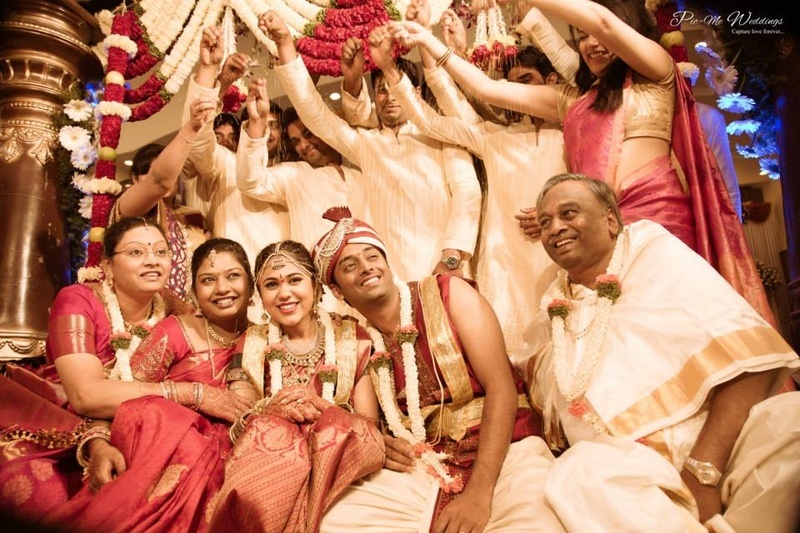 Let’s have a look at a few moments from their big day right here!